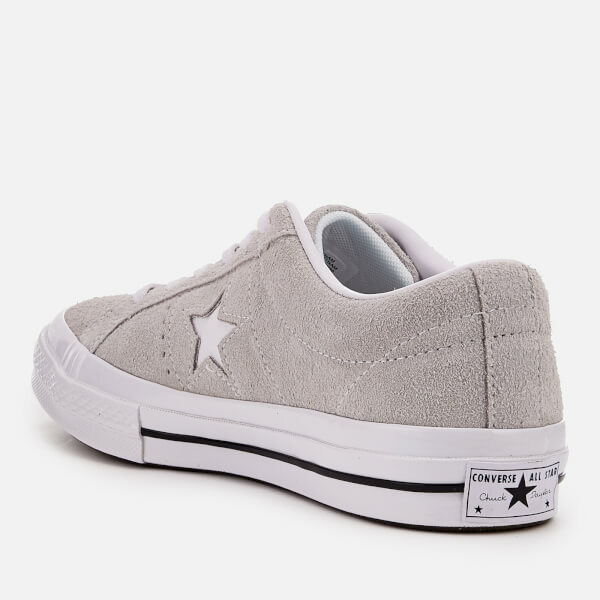 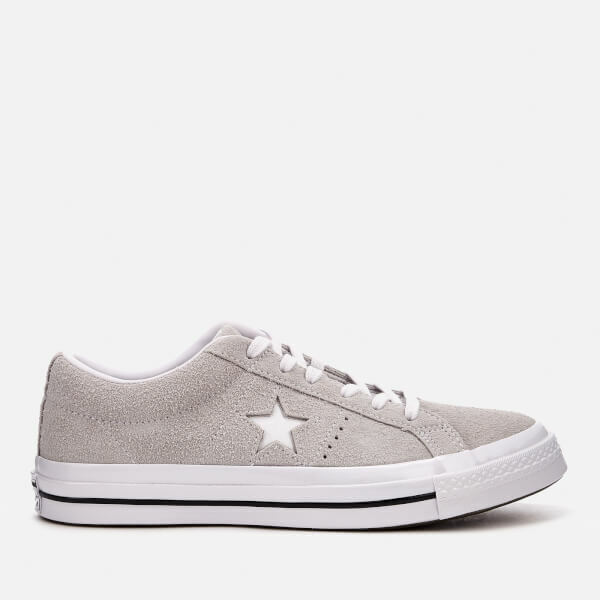 ‘One Star Ox’ low top trainers from Converse. 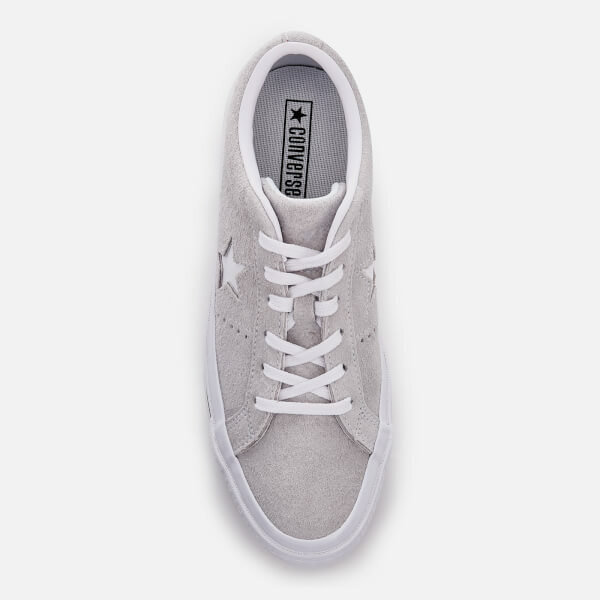 Crafted with grey suede uppers, the sneakers feature flat white laces, stitch detailing and a cut-out star design to the side. 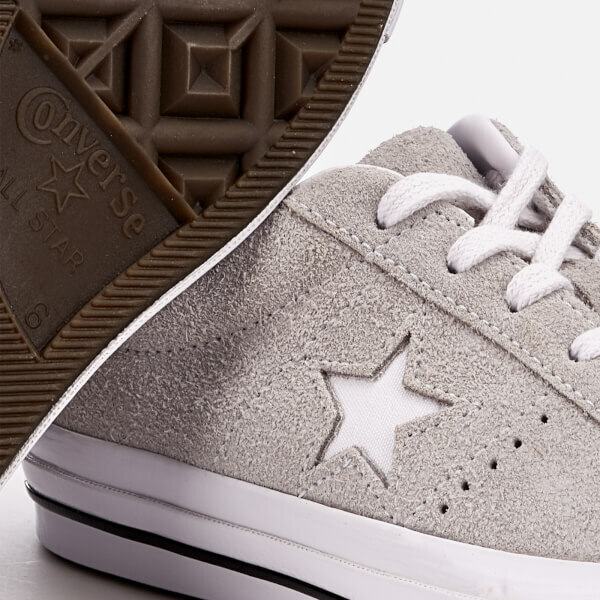 Set on a signature white rubber sole with black stripe, the shoes are completed with the iconic vintage license plate to the heel.